Families across the United States have been, for years embracing family rehab as a way to help their loved ones recover. Through such a program, addicts get the much-needed support system to help them get through the tough times. 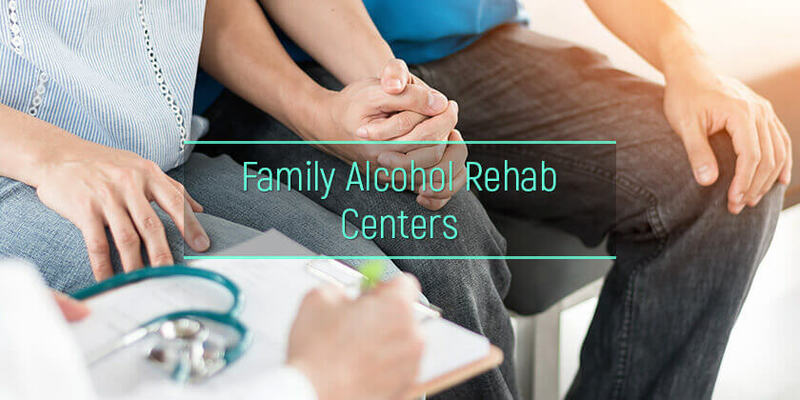 There is a greater chance to achieve a full recovery and prevent relapses if the family is involved; hence the need to have the whole family participate in a family alcoholism rehab. But how do such programs work and what are their benefits? Understanding how these programs work and their benefits could help interested parties make the right decision for their loved ones. What is family alcohol rehab? What are the types of family rehab programs? What does family treatment look like? What are the benefits of family alcohol rehabs? What shall one do if a family member does not want to participate? How to choose a family alcohol rehab? This is a facility that runs programs that help families cope with alcoholism in a member or members of the family. It involves people who would be considered family members by alcoholics and is geared towards addressing issues that would prevent the recovery of their loved one through offering alcoholism treatment options for family support. There are different types of rehab programs that fit different dynamics. While they might appear similar to traditional rehabilitation programs, these allow families to involve themselves with the recovery journey of the patient. The alcohol treatment family therapy provided is not only aimed at helping the alcoholics, but also at helping the rest of the members cope with the alcoholism of their loved ones. Normally, addiction is not independent and it requires other factors such as family members to fester. They are also able to handle any unresolved issues that might have been brought forth by their loved ones’ behaviors. Outpatient programs. Addicts and their loved ones are free to carry on with their day to day activities while still attending sessions at regular intervals for family alcohol treatment sessions. Inpatient facilities. Unlike with an outpatient alcohol rehab, alcoholism treatment and family therapy involve housing the patient inside the rehab facilities until such time when their physician clears them. Faith-based programs. These encourage family involvement in treatment for alcoholism for people who belong in the same faith. Rehabilitation involves different therapies that aim at helping the addicts recover and stay off their source of addiction. While rehab might involve whole families, there are different therapies which are provided depending on the families and the state of the patient. Family behavioral therapy– This family alcoholism treatment system usually involves adults and adolescents and their behaviors. Its main aim is to help both parties change their behavior towards the complete recovery of an addict. Members involved could include intimate partners, parents for the adolescents and children. Multisystemic therapy– This form of therapy is designed to help treat attitudes for both the addicts and their loved ones. For example, a teenager might think that getting drunk is cool which then leads to alcoholism at a young age. The treatment then aims at changing this attitude to help the teenager. Multidimensional therapy– This is best for adolescents and teens attending outpatient programs. 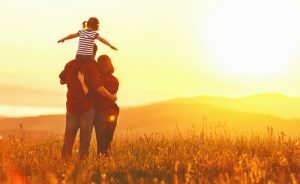 Rehabilitation can take place in different places and works well in helping parents examine their parenting styles in order to elicit change in their children. Brief strategic family therapy– With this, families are helped to address interactions within themselves that may trigger abuse in teens and adolescents. For example, children might result in getting drunk due to quarrelsome or verbally abusive parents. Addressing this behavior might help stem the problem and lead the children back to a straight path. Functional family therapy– This is usually aimed at helping families communicate better. Through this therapy, each member examines the negative interactions and structures at home that could lead to abuse of alcohol. They provide and foster a stable and safe environment for recovery. Recovering from addiction is not easy. Patients need an environment that allows them to concentrate on their recovery without having to feel judged. This is especially important to newly recovering addicts. It is a source of learning. Not everybody is versed in addiction recovery. More so, members who are directly involved with the recovery of their loved ones. They need to learn how to avoid and handle relapses when they happen, how to interpret different reactions from their loved ones and so much more. Families get access to counselors. Counselors are important in family program drug and alcohol treatment facilities because they are better equipped to help patients reclaim their value. They are also able to better interpret the feelings of their patients and help them heal psychologically. They help strengthen family support. It is easier to commit oneself to a rehab center as an immediate relative to a patient who needs help if a facility is involved. Addicts will not only feel better about the support but they will also find it easier to strengthen their resolve to get better. They also provide a dependable routine that is ideal for recovery. Routines include activities to keep the patients busy and occupied. They also include lessons on the proper diet. Families get the privacy they need to complete the recovery process. There is no interference from the outside world in alcohol rehab facilities. This provides the patients and their families their private space to explore their lives and get better. Families are able to involve themselves with the aftercare of their loved ones. Aftercare is one of the most important parts of helping a recovering addict stay off alcohol. Members interested in helping their loved ones learn how to carry out proper aftercare to their recovering members. These facilities offer detox facilities. Within the walls of any rehab facilities are trained professionals who are conversant with the knowledge on how to detox from alcohol. This is important because it is safe for both patients and their loved ones. Rehab facilities also help families set realistic expectations for their loved ones. A better understanding of how the recovery process works and how long it takes will prevent any member involved from feeling as if the recovery process is taking too long. They are also able to follow with the recovery on a step by step basis. It is more economical. Among the many alcoholism treatment options aimed at helping an addict recover, families alcohol rehabs provide their members with better packages which help save money. What if an addict does not want to attend a rehab program? This can be frustrating for the rest of the members because they care about their loved one. The worst part about having an addict is having one that needs help but does not want it. It is easy to get angry because the addict might not fully comprehend the level of their addiction and the damage it is causing. They might not see the importance of focus on the family alcohol treatment center. However, getting angry offers little help to the situation. The addict could be ashamed of their condition. It is not just enough to pick up a families alcoholism rehab program. An addict cannot seek help to a non-existent problem. Helping a loved one understand that they need help is an important step in helping them seek it. It is almost impossible to help a loved one seek help with no knowledge of what addiction looks like, the stages and how to handle it. Learning about addiction helps better handle a loved one who refuses to seek help. Enough information helps when dealing with alcohol rehab and family. A professional doctor is more likely to convince an addict whose judgment has been affected by their ailment. Doctor-patient confidentiality could allow the addict to open up and relay their fears. Money to fund bad habits should be cut off. If the addict has access to alcohol in the house, it should be removed. Addiction weighs down on its immediate victims. Offering support and assuring the addict that they have people who care about them can help make the patient feel safe enough to seek help for themselves. Additionally, offering them the needed support prevents them from feeling alienated. It is important to get an addict out of their familiar environment. This helps prevent triggers that could lead back to their habits. The best facility has a proactive and highly supportive staff. Sitting down with the staff and observing their care methods can help determine whether an addict will receive the care they need. Addiction is not the same for everyone. Each addict needs a different type of therapy to help them recover. Services such as aftercare are important in ensuring that the addicts get all the support they need. For example, some facilities also specialize in treatment for teenagers offering teen alcohol treatment to ensure that they come clean. Others like alcohol men rehab centers provide family treatment for parental alcoholism in men. Such targeted therapy could help curb alcoholism and the effects it has on the addicts loved ones. Rehabilitation is not cheap. It is always important to consider the cost of rehabilitation before embarking on the journey. Finding facilities that offer alcohol rehab free of charge can significantly reduce the burden. One could also seek out information on how to pay for alcohol rehab for the family to help them make more informed decisions regarding their options. It is possible to beat addiction. Millions of people have benefited from good rehab programs which provide families first alcohol treatment. This has enabled them to go back to more productive lives. It has also created a healthier families thanks to the professional help provided. As a family, offering the right support will only fast track the road to recovery and remind the patients that they still have people who care about them.